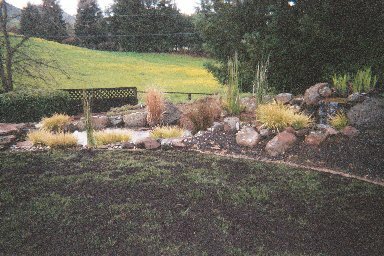 Be sure your landscape is weed-free. Weeds steal water from the plants you want in your yard! We recommend hand-pulling now, while the soil is still moist. If you hate pulling weeds, my crew can handle this for you. 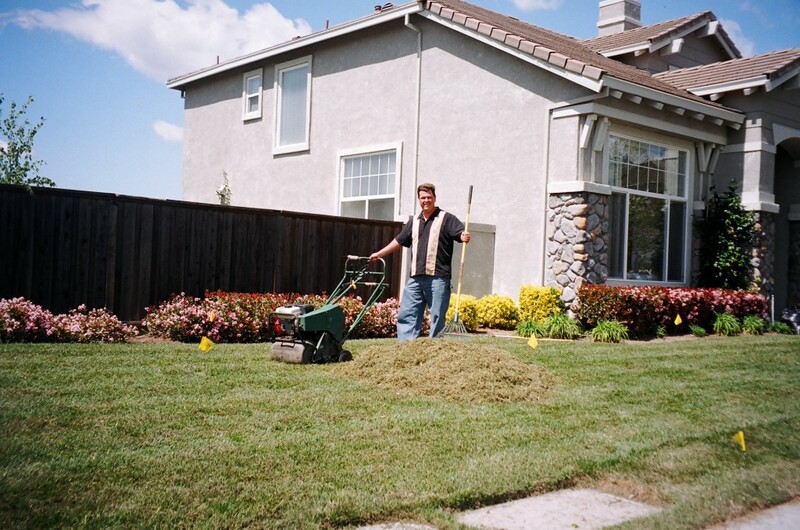 Aerate and de-thatch your lawn NOW to create strong roots now and reduce water usage. Aeration plugs should be about the size of your middle finger for best results. 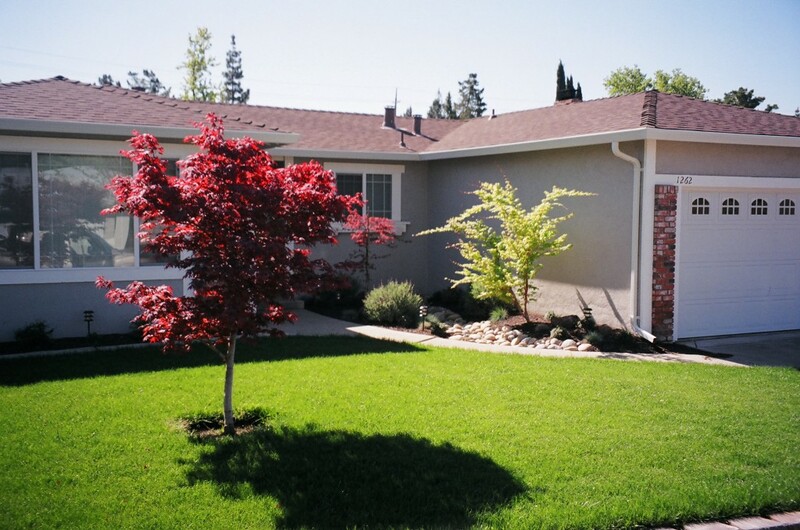 De-thatching pulls out dead, spongy lawn that steals water from healthy lawn. With this drought year, water districts also recommend aerating again just before hot summer days. With our powerful machines, we can handle any residential aeration & de-thatching project. Reduce hidden water costs by handling sprinkler issues to reduce leakage and overspray. 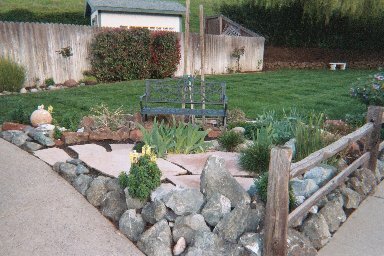 It’s a good idea to replace sprays with bubblers or drips in plant beds. Even in my own yard I found 3 sprinklers that were leaking away money, unknown to me until I replaced some sprays. 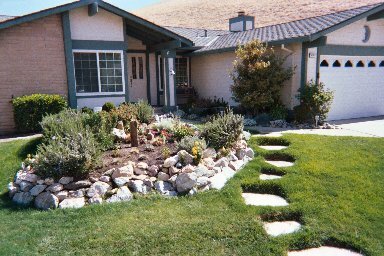 Your water supplier has great information about the best way to set your timers to handle drought conditions & watering during this drought season, and I can help too. 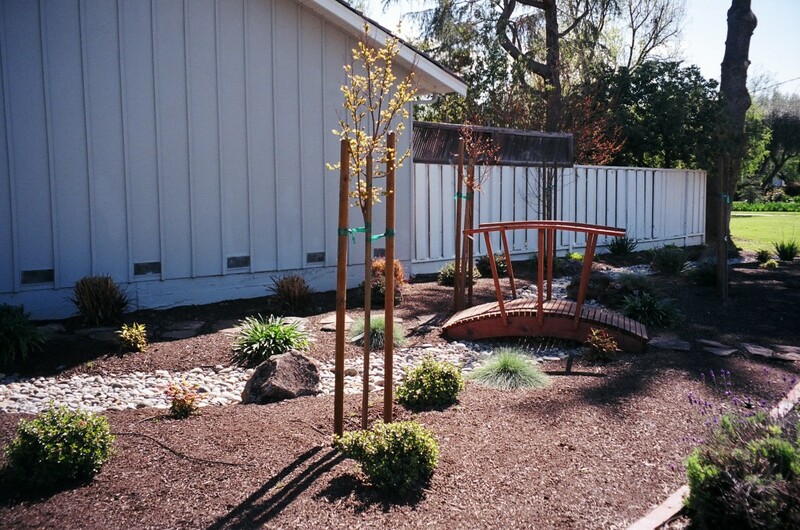 Adequately mulch plant-beds to create a protective, weed-deterring & water-saving barrier. If you need a lot of mulch, many local companies will deliver for an extra fee. If you don’t have time or inclination, my crew can make quick work of this money-saving project! 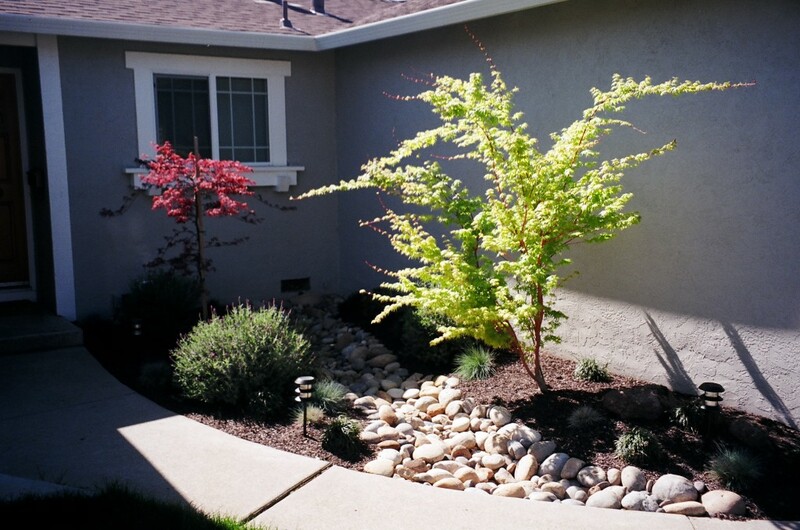 Replace water-loving plants with beautiful, drought resistant natives. Your local nursery can help with this, and your water supplier has some great information at their websites. I think I could make a recommendation or two, as well. 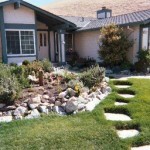 Reduce overall lawn size by creating useful outdoor rooms, pathways & dry-river beds. This is my favorite part of the business, so please ask to see my portfolio of projects. 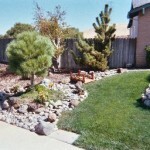 Recently, I reduced my own lawn size by 50%, resulting in an estimated savings this summer of over $200.00! I now enjoy a beautiful, drought resistant, eco-friendly “eden”, without the cost of all that thirsty lawn. & DISCOUNTS for Loyal Clients! More Lawn Care Tips . . .